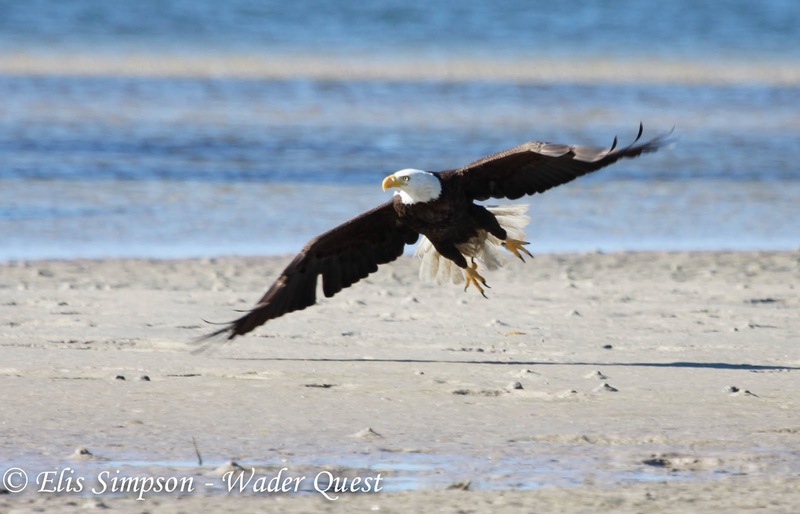 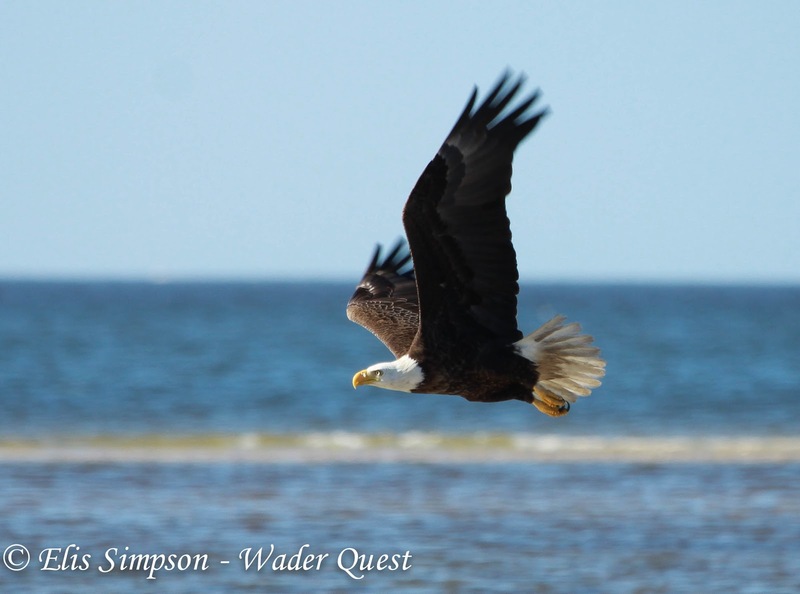 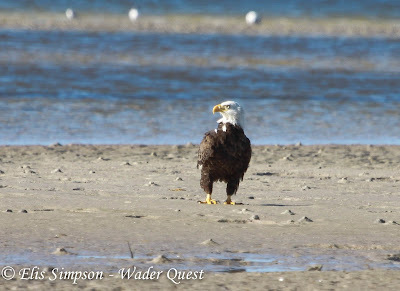 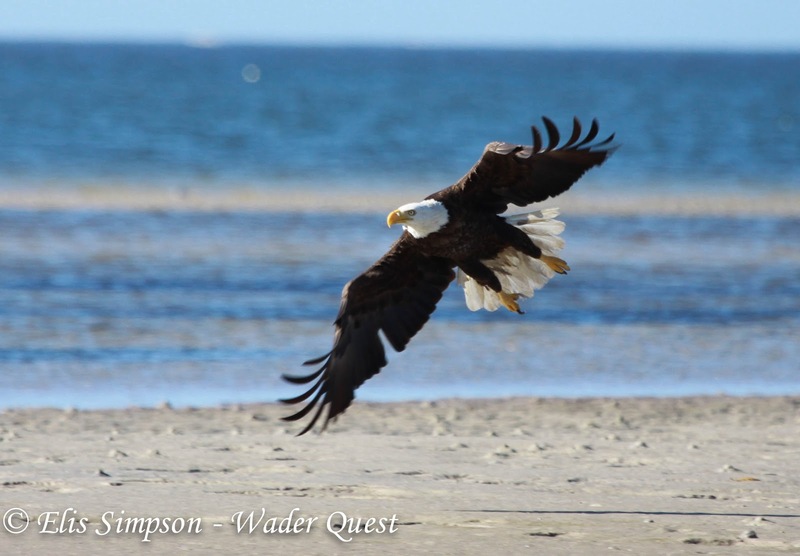 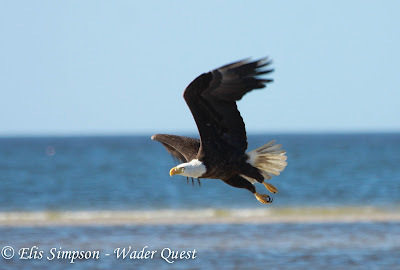 While looking for waders on Bunche Beach today we saw a magnificent Bald Eagle sitting on the sand. Elis took a series of photos of it as it flew off. Pretty stunning images I think you'll agree. 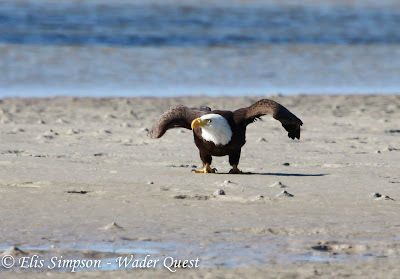 Gracias Isidro, son muy hermosas.